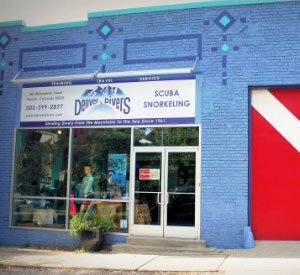 As a Colorado 501c(3) organization, Denver Adaptive Divers provides support, education, specialized training and dive travel to qualified individuals with physical disabilities to enable them to become an integral part of the sport of scuba diving. DAD is a leader in the Rocky Mountain Region for removing barriers for qualified individuals with physical disabilities to enable them to participate in the mobility and joy of scuba diving. Denver Adaptive Divers is a SCUBA diving training program that provides Open Water Diver certification to people with physical disabilities. We provide the opportunity for people with physical disabilities to discover the freedom of movement under the water through SCUBA diving. DAD works with people with physical disabilities, including but not limited to spinal cord injuries, Multiple Sclerosis, amputees, visually and hearing impaired.